The LoftCrafters, Inc. specializes in room additions within the high ceiling of your home. While broadly referred to as lofts, these inside room additions can include bedrooms, nurseries, playrooms, and offices. TLC is Orange County's original loft addition company that now also serves portions of Riverside, San Bernardino, and Los Angeles counties. Not only are we a growing company, but with over 1,600 additions completed to-date, we are also the most experienced! Our experience, dedication to quality, and commitment to our customers really set us apart. Rellion Inc, a premier builder, developer, and real estate investor in Southern California, helps homeowners build their dream homes. 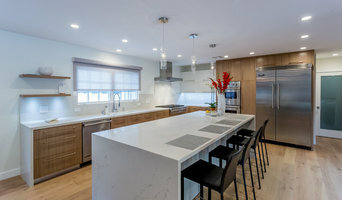 As a design/build company, we provide complete solutions to homeowners, from architectural and interior design to remodeling and new home construction and development. Here at Rellion, we re-interpret, re-imagine, and bring architecture to today's aesthetics and life style our clients deserve and enjoy. Our designs range from remodeling to new custom homes. We build dreams for home owners. Rellion's in-house construction management provides the highest quality workmanship through effective communication, conscientious budgeting and efficient scheduling . Our design team is seamlessly integrated with our construction team, which allows every design detail to be implemented in the right way. We serve all cities in Orange County, including Newport Beach, Newport Coast, Corona Del Mar, Laguna Beach, Dana Point, San Clemente, Huntington Beach, Seal Beach, Fountain Valley, Costa Mesa, Cypress, Mission Viejo, Laguna Hills, Laguna Nigel, Irvine, Tustin, North Tustin, Orange, Fullerton, Yorba Linda, Villa Park, Anaheim Hills, Ladera Ranch, and Coto De Casa. To turn your house house into your dream home, please call us at (949) 209-9610. Stone Studio is a design center in Anaheim, CA, featuring an exclusive showroom, and warehouse. At Stone Studio we provide our customers the highest quality material in an elegant ambiance, with project meeting rooms, various display areas, and a coffee bar. In our wide selection of products. We import materials from throughout the world, including Brazil, Italy, Spain, Turkey, Portugal, India, and Taiwan. The Stone Studio team has extensive experience in both residential and commercial projects,including custom homes, hotels, golf resorts, movie theaters, etc. Design-build firms take on the responsibilities of architects, contractors and construction companies, all under one roof. These full-service firms focus on a streamlined design-build process — from the initial design to the estimating phase to physical construction — in the hope of creating an efficient experience for both the client and the company. Because the entire project is happening within one company, Tustin design-build firms are able to overlap the design and construction phases of the project, which often speeds up the project significantly. In addition, these firms work to minimize risks for the project owner through single-point responsibility contracts. However, depending on the firm, you may still want to contact an interior designer or architect to help create the exact look you want. Here are some related professionals and vendors to complement the work of design-build firms: Interior Designers & Decorators, Landscape Architects & Landscape Designers, Architects & Building Designers, Photographers. Before deciding on a residential design-and-build company in Tustin, CA, think about what you want from your new home. Do you want a large kitchen for entertaining? Do you need several bedrooms for children and guests? Do you want a finished basement for extra space or storage? 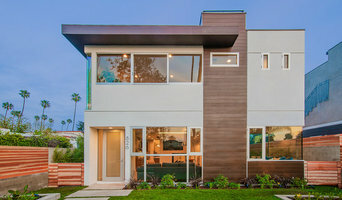 Look for Tustin design-builders that specialize in the areas you're looking for. Budget is obviously a determining factor in the outcome of your project. To make sure you stay within your means, consider making a must-have list and a wish list. Gauge where the estimates are falling to determine which design-build contract can realistically strike the balance between the two. 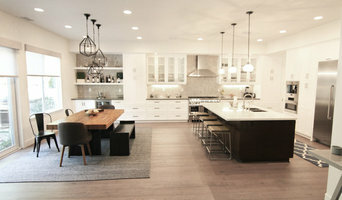 Find a Tustin design-build company on Houzz. Narrow your search in the Professionals section of the website to design-build firms in Tustin, CA. You may also look through Tustin, CA photos to find a pool you like, then contact the design-build firm that created it.